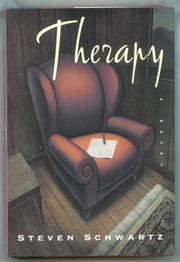  A first novel about a therapist and his patients tenuously mixes psychodrama and romance. Casper Kaplan practices psychiatry in Pierre, Colorado. At home, the middle-aged doctor feels alienated from his wife and child; his diverse group of patients, as well, have begun to resemble burdens. Julian Schwartz is a student at the local state university who seeks Cap's aid in combating insecurity stemming from his epilepsy. Maureen Kels, a glamorous professor at the university, is one of Julian's teachers. When she is not trying to seduce Cap, she works on wounding him in his most psychologically vulnerable areas. Maureen and Julian become sexually involved when he impresses her with a daring essay; eventually, she becomes pregnant. The student's relationship with his teacher diminishes his insecurity, finally leading him to halt the medications that prevent his seizures. One day he has an attack while crossing railroad tracks on the outskirts of town and is crushed by an oncoming train. Maureen, stricken, leaves Pierre immediately. Cap begins a correspondence with Julian's mother after informing her of her son's death; Mrs. Schwartz, a concentration camp survivor, supplies a wisdom without judgment that he can't find at home. He decides to leave psychiatry just as his wife begins therapy, and their marriage slowly begins to recover. Much of this book flows well. Schwartz writes readable prose, telling his story easily and confidently while also supplying useful, vivid background information through the characters' recollections. The author is less successful, however, with Cap's glib reflections on the world around him and with long passages that are funny but irrelevant, such as Cap's visit to his former psychiatrist, now a materialist quack, or his meetings with extraneous off-the-wall patients. Some moments of beautiful gravity, but occasional false notes as well.